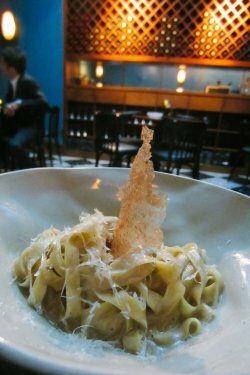 Hunting for authentic Italian fare in Singapore is definitely no mean feat. Most Italians do know their food well, just think Joe Bastianich and Luca Manfé (Winner of Masterchef Season 4). Knowing &SONS Bacaro offers one of my favourite cuisines in small, bite-sized portions, I definitely had to pay them a visit. As true-blue Italians do not separate alcohol from their meals. 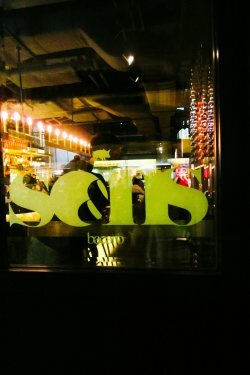 &SONS Bacaro conveniently takes on the facade of both bar and bistro. The fancy candlestick-mounted lights set against plain dark furniture seem to create the mood for some serious business talk. The Europeans serving us had thick accents, and the bar was abuzz with lively music and chatter on a weeknight. 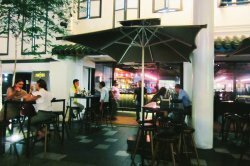 This definitely makes a great hangout for PMETs, or in fact any large group gathering. 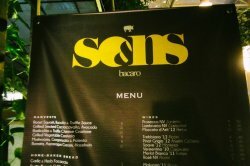 If you can't decide what to select from the menu, here are 3 Must-try Italian dishes at &SONS Bacaro. It came as a surprise that the tagliatelle was so moist. 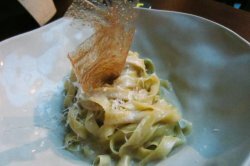 I recall attempting to cook my very own tagliatelle but it was either overcooked, turning soggy, or undercooked and remained tough to chew. The temperature of the dish was just right, and the plating was fantastic. The hint of truffles wasn't very strong though. These small pasta envelopes are definitely one of the more difficult dishes to cook, and &SONS Bacaro nailed it! 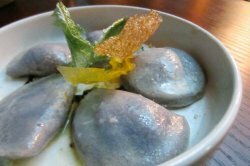 Each ravioli had a consistent filling, and the chewiness and texture of the pasta was top-notch. The exterior may appear oily, but it is in fact the balsamic vinegar adding a fragrant touch to the savoury dish. This is my personal favourite and I would highly recommend that you start with this. It's one of the more satisfying vegetarian dishes at the heart of Italian cuisine. 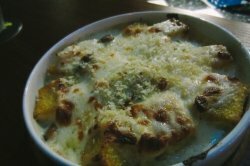 The Gorgonzola gave off a strong cheesy smell (which I loved), and having the mushrooms and polenta soaked in it was downright good. 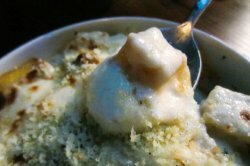 It was rich, creamy and flavourful— and when down to the last spoonful, the only thing I could think of was "I can't believe it's over!" I'll definitely order this again on my next visit.